Three years ago, Vikesh Kapoor performed at Howard Zinn’s memorial service in Boston, in front of Zinn’s family and colleagues (including Noam Chomsky). 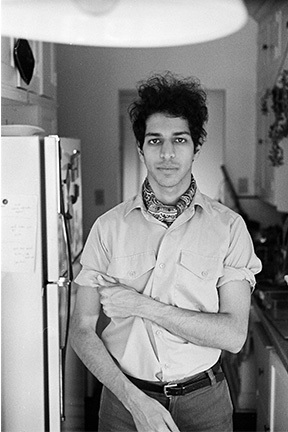 Inspired by Zinn’s lifelong battle against class/race injustice, Kapoor spent the next two years in Portland working on a concept record based on a related newspaper article. His debut album, The Ballad Of Willy Robbins, chronicles the brutal but hopeful story of a working class man who slowly loses everything: ambitions, health, family and shelter. Vikesh Kapoor will give a Pop-Up Performance at 4:15pm in the Modern and Contemporary Art Gallery (Jubitz Center, 1st Floor).